No more waiting for a friend to hold that "hose" and no more extra cost for a secondary "top-off" pump. 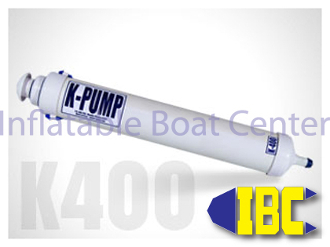 The K-400 is the only true two-stage pump available. Extensive field-testing (what river guides affectionately call "trying to destroy") contributed to the innovative design, durable construction and exceptional performance of the K-400. It will prove to be the best all-purpose pump you can own.